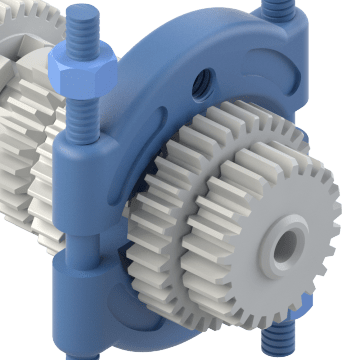 Separate and remove bearings, gears, pulleys, and other shaft-mounted parts with these separators and bearing and gear pullers. 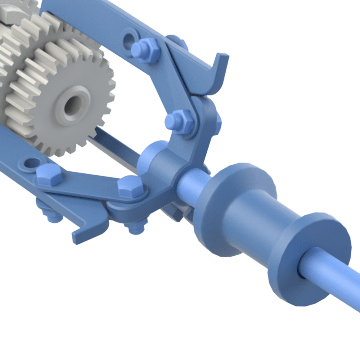 Commonly used in automotive applications, choose from a variety of pullers for removing parts, or select a separator to create space between two objects on a shaft. Also find accessories to customize your puller to fit the size and type of object to be removed. Get a secure grip on a bearing, gear, or other shaft-mounted parts with these jaw pullers. 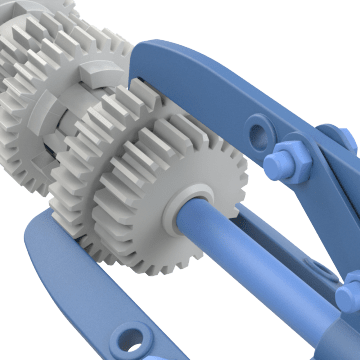 Their claw-like legs grip the side or bottom of the part, and the center forcing screw is braced on the shaft and turned to pull the jaws up and remove the part from the shaft. Choose a two-jaw puller for removing parts in tight spaces or a three-jaw puller for removing large objects. 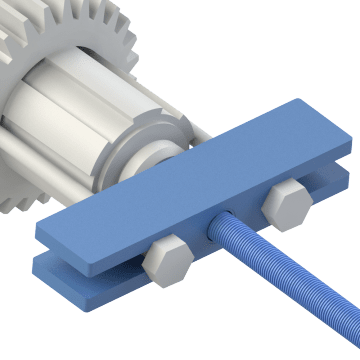 Also find jaw pullers designed for removing specific parts such as Pitman arms or pulleys, as well as hydraulic jaw pullers for removing large or heavy parts and boosting efficiency in repetitive pulling tasks. Quickly remove seals, bearings, and other press-fit parts with these slide hammer pullers. The slide hammer jaws grab the object, and a hammer weight on the shaft of the tool is pulled back with force until the object comes loose. These versatile tools can also be used in auto body repair tasks such as pulling out dents. Some pullers have interchangeable jaws that can be swapped out to adapt the tool for different applications. Remove or install gears, bearings, and other press-fit parts with these bar pullers, also known as face-grip or push-pull pullers. They have a center bar with a screw tip that threads into tapped holes on the object to be removed. Legs on either side of the bar provide tension as the screw locks into the part and a forcing nut is turned to either pull the bar up or push it down. Bearing separators or v-belt pulley separators can be used with the bar puller to remove shaft-mounted parts. 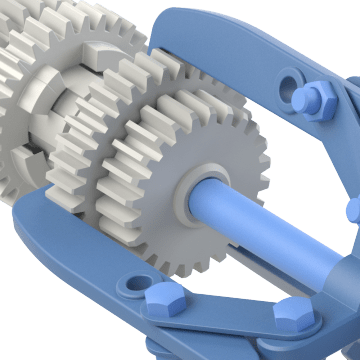 Use these tools to separate two connected or tightly spaced shaft-mounted objects such as bearings or gears to prepare them for removal. Fit the lip of the separator into the groove between the objects and tighten the side screws to separate the parts. Use a bar puller to completely remove the object from the shaft after it's separated. Find a range of accessories to customize your puller to fit your application or to replace worn parts and extend the life of your puller. 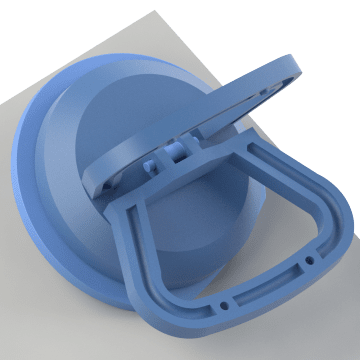 Choose from jaws and legs for jaw pullers, hammer weights for slide hammer pullers, protectors to help prevent damage to parts during pulling, suction cups to improve stability on flat surfaces, and more. These sets contain the tools you need for a range of pulling and separating jobs. 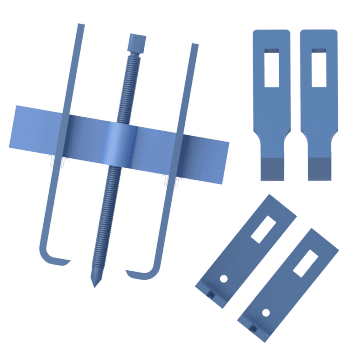 Sets are available with pulling tools, separating tools, or both, and some sets include coordinated accessories that expand the versatility of the tool.